Pandit Vijay Kichlu, a Master of Arts from the University of Allahbad, has a unique combination of executive ability and artistry. As the mastermind and executive director of the revolutionary institution, Sangeet Research Academy, Pandit Vijay Kichlu is totally committed to Indian classical music, its propagation and preservation. Although he did not take music as a profession, Pandit Vijay Kichlu has been recognized as a leading vocalist of the Agra gharana, having been trained under the tutelage of the Dagar Brothers and later Ustad Latafat Hussain Khan. 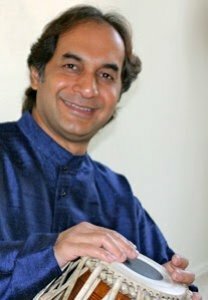 An erudite musician and a very fluent speaker, Pandit Vijay Kichlu holds fame in musicological circles all over the world. His lecture-demonstrations and compact workshops are pleasantly enlightening for the listener and participant. He has been granted Honorary Citizenship of the State of Maryland and the City of Baltimore in appreciation of his efforts in promoting Indian Classical music in the USA. Ganesh and Kumaresh, noted Indian duo of violin players and a part of the Carnatic music (South India) fraternity, have been performing together for more than three decades. 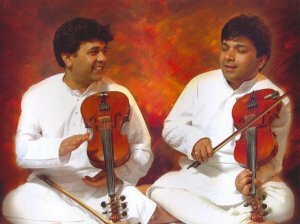 The brothers are best known for their modern contemporary style and their contribution to "Shastriya Sangitam". They have immersed deeper into the realm of the music and brought out a refreshingly original content and style for the instrument. Ganesh and Kumaresh received their training from their father Shri T.S.Rajagopalan, a veteran violinist. The brothers have carved a niche for Indian instrumental music with their impeccable and remarkable technique both in playing the instrument and in interpreting the musical forms. They, hailed as ‘Child Violin Prodigies’, gave their first public performance in the year 1972, when they were 7 and 5 respectively. They have made inspirational and exhilarating forays into world music teaming up with such luminaries as Dr. Balamurali Krishna, Ustad Zakir Hussain, Vikku Vinayakaram, Late Valangaiman Shanmugasundaram, A.R.Rehman, John Mclaughin, Illayaraja, Rajan Mishra, Sajan Mishra, Umalayapuram Sivaraman, Palghat Raghu, T K Murthy, Steve Thornton, Trilok Gurtu and the list is truly long. Ganesh and Kumaresh, apart from performing, also score music for films and dance productions. Their music for the movie Dance like a Man and Chandrikai has been widely appreciated. 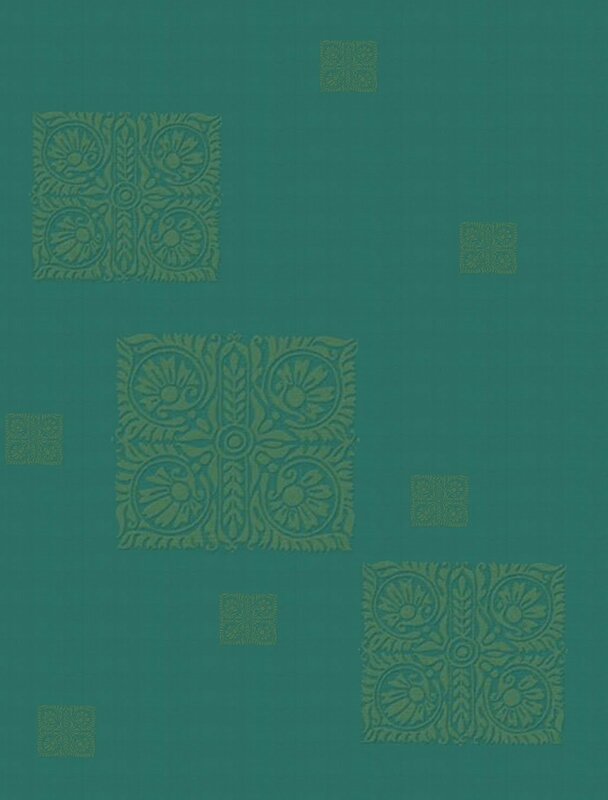 Their own musical form raga pravaham brings out their grasp of the intricacies and aesthetics of the Indian ragam and talam - the very essence of Indian music. Omkar Dadarkar, an accomplished vocalist, is one of the few of the present generation of musicians who have preserved their originality and tradition. Born in Mumbai in 1977, he was encouraged by his parents, both being Marathi Natya-Sangeet (musical theatre) performers. He got his initial training under Shri Ram Deshpande and received a scholarship from C.C.R.T. (New Delhi). He has since then, trained under legendary vocalists Padmashree Manik Verma, and Pandit Yashwantbua Joshi of Gwalior Gharana under the guru-shishya parampara of Dadar-Matunga Cultural Centre, Mumbai. Being selected as scholar by I.T.C. Sangeet Research Academy in 1999, he had undergone rigorous training under the tutelage of guru Pt.Ulhas Kashalkar. He is also trained in light classical music under the able guidance of Vidushi Girijadevi and Shri Srinivas Khale. He completed Sangeet Alankar from Gandharv Mahavidyalaya and he is a graduate in Marathi literature and History. Omkar has been appreciated and applauded for his performances in several Music Conferences in India and abroad. He is the proud recipient of the prestigious Vidyasagar Award from the Music Forum. His melifluous voice with embellished tans is gradually establishing Omkar as a brilliant performer in the world of Indian Classical Music. 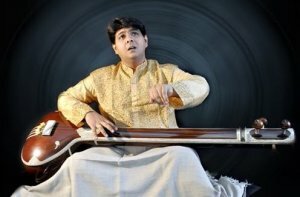 Pratik, a young and talented Sarod player born in 1987, began his musical journey under the training of his grandfather Pandit Rabi Chakraborty, an eminent Sarod player of the Maihar Gharana, and further nurtured his technical virtuosity under the tutelage of his uncle Dr.Rajeeb Chakraborty. Presently, to fine tune his performance still further and understand the aesthetic nuances of music, he is under the able guidance of world renowned vocalist Ajay Chakraborty and veteran sarod player Tejendra Narayan Majumdar. 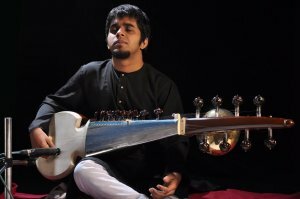 Pratik has won several awards and scholarships nationally and internationally including the Anun Lund Rej Memorial Foundation Scholarship 1999, Norway, Youngest Talent at the prestigious Salt Lake Music Conference in 1998 and a national scholarship awarded by the Indian Government to name a few. Pratik has been playing extensively in India and abroad including the US, Australia, France, and Germany. He has enamored the audiences all over with his remarkable talent honed by hard work, dedication and unflinching support of his family. Aditya Kalyanpur is a talented tabla player and percussionist beyond his years, who has made a distinguished career working with some of the most prestigious names in Indian classical, jazz, and fusion genres such as Pandit Shivkumar Sharma, AR Rahman, Shankar Mahadevan, Pandit Jasrajji, Larry Coryell, George Brooks, Kenwood Denard, Boston based jazz band Natraj, Mickey Hart, John Mclaughflin, the Rolling Stones and Tim Ries. Aditya was first seen with his Guru, Ustad Zakir Hussain for the famous "Wah Taj!" television commercial at the age of 11. Having the honor of being recognized as an "A" Grade Artist of All India Radio, he has given public performances along with his guru. 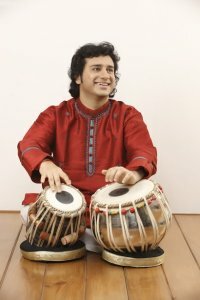 As a young man, Aditya has lived up to the words and reputations of his teachers, mastering the intricacies of the tabla to smoothly accommodate to the requirements of the main artist. His style consists of bold and clear execution of syllables, pinpoint precision in rhythm, coupled with a colossal repertoire of compositions and improvisational techniques making his concerts a sheer joy! Honored with the title of Taal - Mani, Aditya is the recipient of I.T.C's prestigious Vidyasagar Award as well as the Sangeet Visharad and is one of the first tabla players ever to be invited to Estonia for the prestigious Orient Arts Festival. 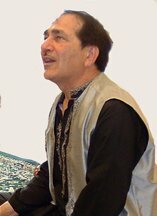 As a soloist and accompanist, he has performed at other prestigious music festivals in India and abroad including the Edinburgh festival in Scotland, the Earagal Arts Festival in Ireland, the Jazz Yatra in Bombay, India and at the Great Lakes Folk Festival held every year in Lansing, Michigan. Aditya is currently the leader of his fusion band Fuzikk, and a member of the world-renowned group Bombay Jazz comprised of jazz legends Larry Coryell, George Brooks and Indian Flute Maestro Pandit Ronu Mazumdar. When he is not touring and performing, Aditya dedicates his time as a music teacher and has founded the New England School of Music (NESOM) in Boston, Massachusetts, which continues to grow and consists of over a hundred students from an array of music and cultural backgrounds. Arup Chatterjee (Chattopadhyay) is recognized as one of the most outstanding and sought after tabla artists of this generation. As a premier disciple of world-renowned maestro Pandit Shankar Ghosh, Arup has established himself as a top-notch accompanist as well as a formidable soloist. Arup's performance is admired for its overall clarity, tonal quality, crystal clear “bols”, and spontaneous sense of rhythm and melody. Arup began studying tabla at age six with his father, the eminent tabla player, Shri Pankaj Chattopadhyay, and later came under the tutelage of Pt. Shankar Ghosh, with whom he continues to train. Having achieved Grade A status as an artist, Arup's performances are broadcast on radio and TV throughout India. He has accompanied many of the leading musicians of India such as Pt.Ravi Shankar, Pt.Rajan and Sajan Mishra, Tejendra Majumdar, Kushal Das, Debashish Bhattacharya, among a host of others. He has performed at concerts and festivals in India as well as all over the world. Arup is also a highly sought after teacher of tabla. 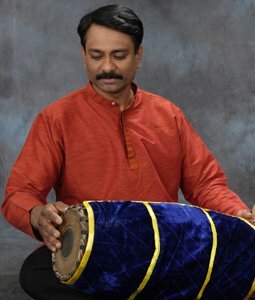 He was previously a professor of Tabla at Baratiya Vidya Bhavan in London (Institute of Indian Culture) and has been a member of the faculty at UC San Diego since 1999. Dr. Gopal Marathe is a very well known name in musical circles all over the US as well as in India. Originally a professor with a Ph.D. in Microbiology, Dr. Marathe is an accomplished musician with versatile talents as a composer, singer and harmonium player. One of his major achievements is the bhajan album ‘Swaranjali’ which he composed for Anuradha Paudwal and for which he was awarded a Platinum Disc. He has traveled all over Canada and US as a singer accompanist with the legendary kathak dancer Sitara Devi and the tabla maestro Zakir Hussain. As a harmonium player he has accompanied many world class Hindustani classical singers such as Girija Devi, Pandit Jasraj, Rajan and Sajan Mishra, Laxmi Shankar, Prabha Atre, and Jitendra Abhisheki to name a few. Shriram Brahmanandam was initiated into the mridangam by the renowned guru Harihara Sharma and later continued his training with C.V.Kuppuswami. He completed advanced training from the percussion stalwart Kumbakonam Rajappa Iyer. Shriram has won awards for "Best Mrudangist" during the music concert series held in the Indian Fine Arts Society and in the Youth Association for Classical Music. He has performed extensively in India and abroad including the annual Cleveland Carnatic Festival and at the Lincoln Center in New York. He has also performed drum fusion concerts with celebrated western drummers Anandan Sivamani, and Anthony Brown. A prolific composer, Shriram zealously looks for opportunities to create new rhythmic compositions (mohras and korvais). Shriram translates his passion for the mridangam into articulate, riveting lecture-demonstration sessions (‘The Art of Mridangam Accompaniment’) held around the Bay Area. Shriram's style of accompaniment, vibrant and energetic as it is, never ceases to complement and glorify the main artist. His exquisite grasp of melodic nuances and his tonal excellence have won him praise from both peers and seniors in the musical world. Subhajyoti Guha, a young and highly talented tabla player from Kolkata, belongs to this new genre of tabla exponents who have taken this percussion instrument to greater heights of popularity worldwide. Coming from an educated family of musicians, Subhajyoti was introduced to tabla at the tender age of five by his father Dr. Smriti Ranjan Guha, a disciple of late Ustad Keramatullah Khan of Farukkabad Gharana. Subsequently, he became a disciple of the internationally acclaimed tabla maestro and trainer Pandit Sankha Chatterjee, and continues to train under him to this date. Subhajyoti's intense dedication and love for his art has won him several awards and laurels including the President’s Award from All India Radio in 1989, The Dover Lane Talent Search Award in 1990-91, The Hirendrakumar Ganguly Award, from West Bengal State Academy of Performing Arts, in 1993, to name just a few. Subhajyoti's first public performance was in 1992 at PARAMPARA - a prestigious festival of Indian Music, in Berlin, Germany with his Guruji, Pandit Sankha Chatterjee, where he enthralled his audience by his solo performance. 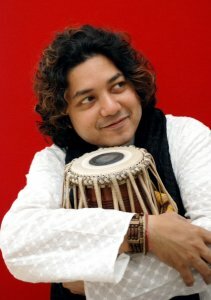 Since then, he has been performing extensively in India and abroad as a soloist and an accompanying artist to some of the leading musicians of India like Pandit Buddhadev Dasgupta, Pandit Manilal Nag, Late Pandit A.T.Kanan, Pandit Ram Narayan, Ustad Aashish Khan, Pandit Barun Pal, Ustad Shahid Parvez, Pandit Brij Narayan, Ustad Irshad Khan, and many others.